The brainchild of elusive graphic designer Sk8thing, who founded it in 2012 together with streetwear visionaries Toby Feltwell and Hishi, Japanese brand Cav Empt has garnered a cult-like following with its strong emphasis on iconic and eclectic references. 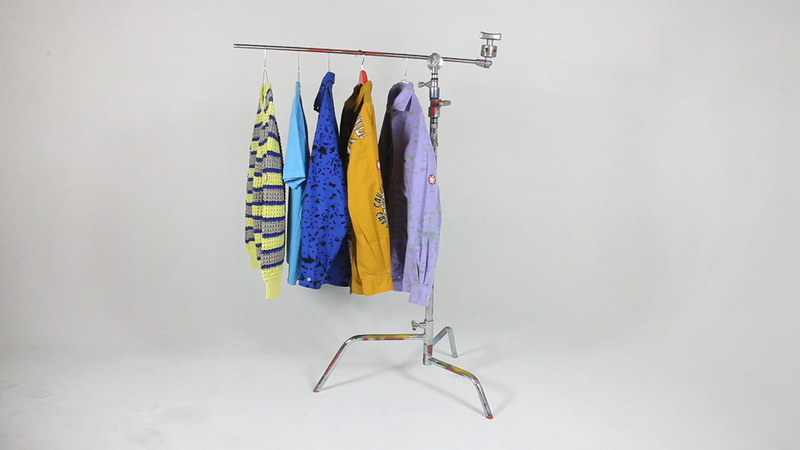 For Men’s Fashion Week, Slam Jam is delighted to present the brand’s newest project — The Clothes Themselves, a documentary short film written and directed by British artist Oliver Payne. Inspired by the “Spread Mind” theory by Italian philosopher Riccardo Manzotti, the short film presents TKTK and poses the enigmatic question, “Where does Cav Empt happen? It is not inside your brain. If we open your brain, we will not find Cav Empt.” The film will be presented as a video installation at Spazio Maiocchi, accompanied by a live set by artist Tapes, and introduced by a djset by The Trilogy Tapes Will Bankhead.